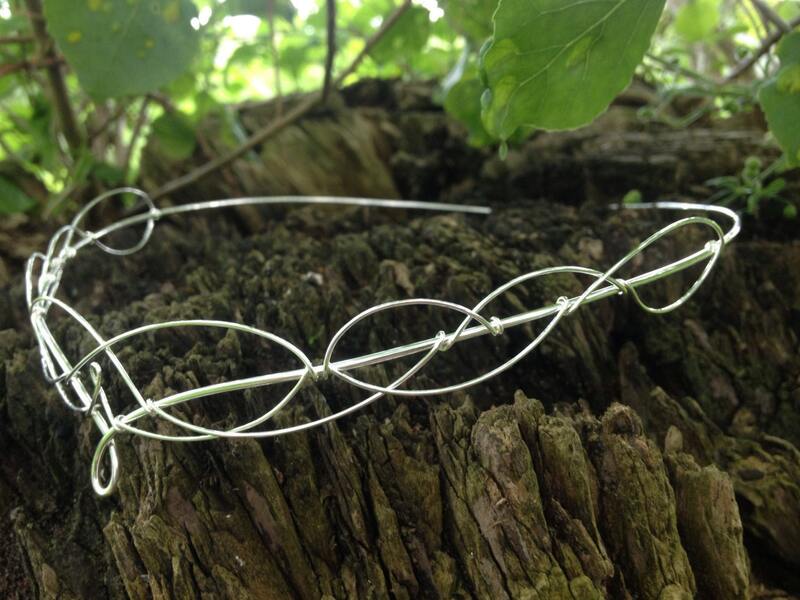 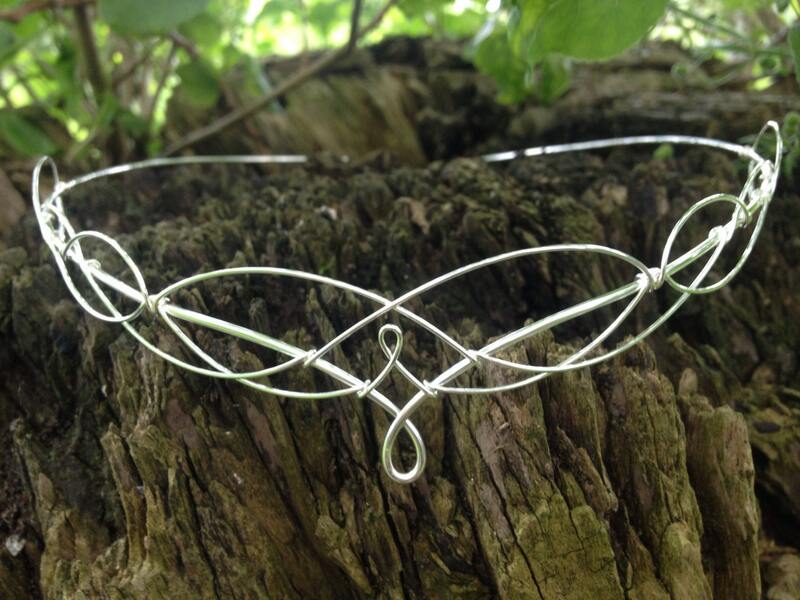 The design element of the circlet measures approx 25.5cms (10 inches) across and 2.5cms (1 inch) from top to bottom at the centre. 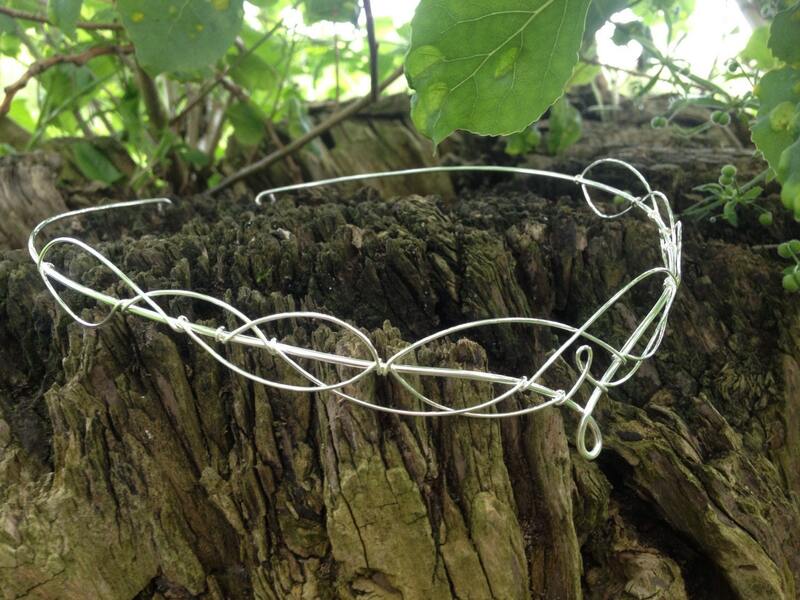 The full circumference of the circlet is 52cms (20 and a half inches). 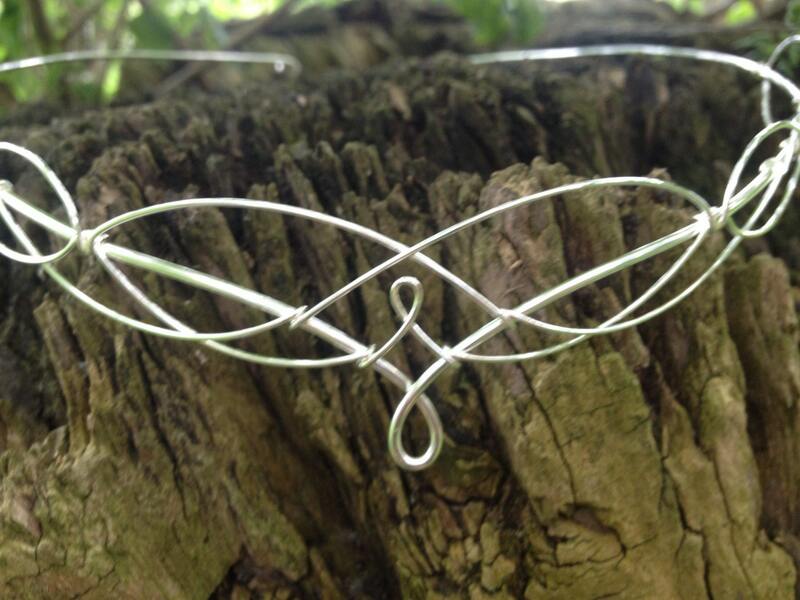 Designed and hndcrafted in the beautiful English County Kent.